Situated in the fashionable Marais district, 1K Hotel is designed to reflect the Inca culture of Peru with its restaurant and its 2 bars. 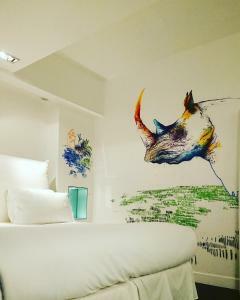 Peruvian masks as well as colourful and vibrant raw materials decorate this 4-star hotel, which is 1 km from Place des Vosges. 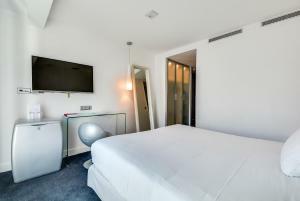 A flat-screen TV which connects to all portable devices including Androïd and Apple smartphones is provided in each room and suite at 1K Hotel. 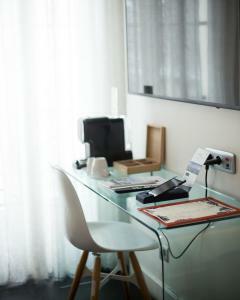 A handy smartphone is also provided in the rooms with unlimited data, GPS, and local calls. 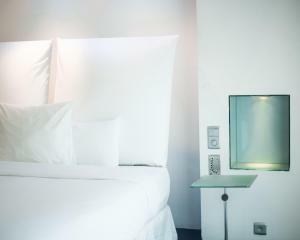 Each of the modern, air-conditioned rooms has a minibar, a Nespresso coffee machine and a courtesy tray with a complementary bottle of water. A buffet breakfast is served each morning at the hotel and brunch is available on Sundays, featuring classic brunch dishes and traditional Peruvian's recipes. The hotel's restaurant, the INKA, is designed in a contemporary style with mood lighting and music. It serves contemporary South-American fusion cuisine. Guests are also invited to enjoy a cocktail in one of the hotel's bar. The Mezcaleria has mezcal drinks on offer, while 1K Pisco bar serves cocktails which can be enjoyed in the hotel's patio or on the terrace. A fitness room with Technogym equipment is available at 1K Hotel. 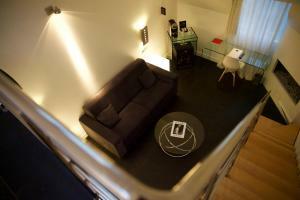 The nearest Metro Station is Filles du Calvaire, which is located 150 metres from the hotel. From here, guests have direct access to Opéra Garnier and Galeries Lafayette thanks to the metro line 8. 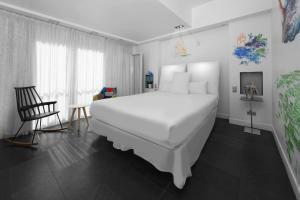 Air-conditioned rooms with a flat-screen TV and a minibar. Free WiFi is provided, and the bathroom includes bathrobes, free toiletries and a hairdryer. Rate: € 130.50 ... € 480.00; select dates below to get current rates. 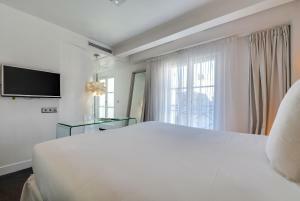 This larger room features air conditioning, a flat-screen TV and a minibar. Free WiFi is provided, and the bathroom includes bathrobes, free toiletries and a hairdryer. Rate: € 118.00 ... € 403.50; select dates below to get current rates. 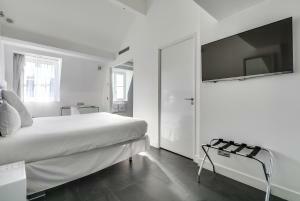 Offering a courtyard view, this spacious suite features air conditioning, minibar and a 47-inch, smart TV. 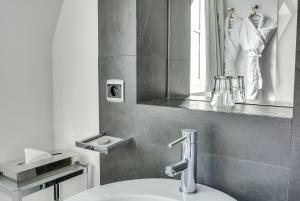 A dressing room, a king-size bed and a bathroom with bathtub and shower are also provided. Extras include a coffee machine. Set over 2 levels, this duplex features 2 bathrooms, a sofa bed and an extra large bed. 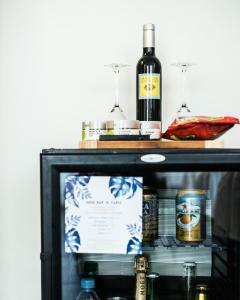 A minibar, safety deposit box, 2 smart TVs and coffee machine are provided. 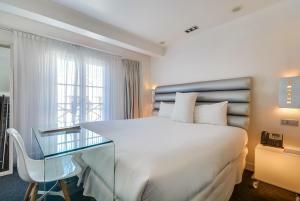 This single room features a soundproofing, minibar and satellite TV.